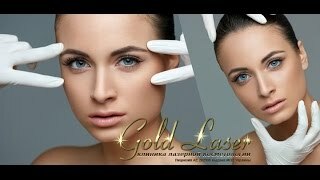 Gold laser – is a clinic of laser plastic surgery and cosmetology of European level in Kiev. Our goal is to keep your youth and beauty, to make you more attractive, younger and more self-confident. Our clinic has high-tech equipment from world-famous manufacturers, which enables us to perform successfully as operations so cosmetic procedures. 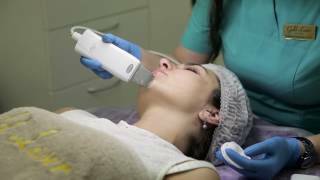 Our experts are the best in their field, and this is what helps us to use the newest innovations in the field of laser cosmetology and plastic surgery. Experience of our plastic surgeons is from 8 to 20 years. Numerous diplomas of our doctors and other documents are available on our website. We also offer everyone to see our gallery, which presents photos before and after the procedures of our clients who agreed for their pictures to be posted. The rest of the results of work of our surgeons and dermatocosmetologists can be seen on a personal consultation with your chosen doctor. Facial plastic surgery services: blepharoplasty, facelift, rhinoplasty, otoplasty, lipofilling, laser liposuction. Plastic surgery of the body: treatment of alopecia, outpatient surgery, treatment of varicose veins, breast plastic, liposuction, abdominoplasty, gluteoplasty (plastic of the buttocks), lipofilling, laser treatment of hyperhidrosis, sclerotherapy of veins. Laser plastic surgery: laser blepharoplasty, laser treatment of armpit hyperhidrosis, laser liposuction. Laser cosmetology: laser hair removal. Injection cosmetology: biorevitalization, mezonite, surgical threads, lip augmentation, wrinkle removal, sweating treatment, contour plastics, mesotherapy, plasmolifting. LPG CELLU M6 KEYMODULE I – vacuum-roller massage, lymphatic drainage, removal of sagging skin, cellulite. WATER PEELING AQUA LUX- cleansing pores, nutrition, oxygenation of the skin, moisturizing. 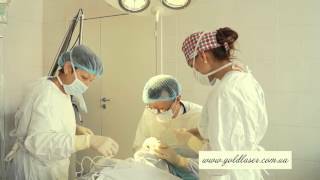 Specialists in Gold laser – are the greatest asset of our clinic. We have highly qualified doctors, each of whom is a true professional, always ready to apply his knowledge in practice. We guarantee high quality of services, modern level of service, professionalism and competence of our doctors; comfort before, after and during procedures and of course confidentiality. Our team of professionals will help you achieve your goals! If you are now in search of “your” cosmetology clinic and “your” specialist – we are waiting for you in Gold laser!